Home » News archive » SUMERU: Sign…Release Date! SUMERU: Sign With Wormholedeath, Announce Summon Destroyer Release Date! Australian doom/stoner act SUMERU are proud to announce that they have signed with WormHoleDeath for the release of their sophomore album Summon Destroyer. Summon Destroyer will be available on 26 October 2018 via Wormholedeath / Aural Music Group / The Orchard worldwide and on 19 December 2018 via Disk Union Distribution in Japan. Pre order date : 12 October 2018. A band known for their passionately fierce and ear crushing live shows, SUMERU’s onstage energy is exerted with an almost fanatical dedication that it verges on a cult-like rite of sonic exorcism and visceral upheaval. Add in the long-crafted musicianship of each member of this Sydney 5 piece, their ability to peel subconscious layers off of their audiences was apparent since their inception in 2009. Having shared the stage with foreign imports and domestic legends such YOB, TORCHE, Nick Oliveri (back up band & support), WINDHAND, NAILS, BLOOD DUSTER, BEASTWARS, IEXIST, CHURCH OF MISERY and LO! 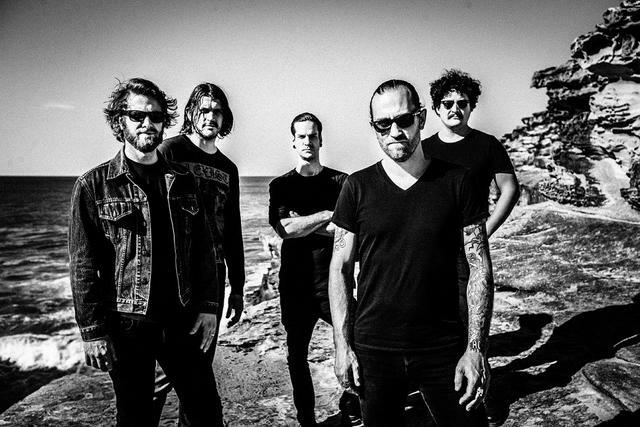 Sumeru now stand firmly grounded in the Australian heavy music underground as a defining force of pure riff fury and indomitable low-end groove.